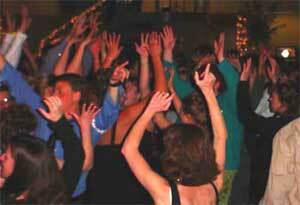 Mobile DJ for your Wedding, Party or Event! 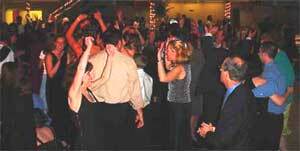 We are a Mobile DJ company serving metropolitan Kansas City, Lawrence, and the surrounding areas for wedding receptions, parties and corporate events. 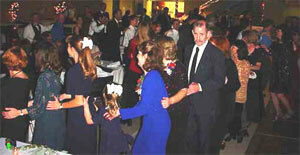 Our mission is to make sure that your event runs smoothly and that your guests have a great time! We will gladly lead participation dances, teach dance classes in Ballroom, Latin, Swing or Country Dancing, give dance demonstrations, or perform shows for you. We do not have any hidden charges. Our base rate is $695 for up to four hours. Dance instruction is included in the that price! It is easy to book us! (You can check our availability first.) Call us, or email and let us know what you need, and the date of your event. Our direct line is (816) 665-6275.